Celebrity Chef Art Smith knows about the trials and tribulations that often come in everyone’s lives, and he has used healthy cooking with a Southern cuisine style to change his life, and others, for the better. 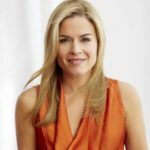 Smith is a restaurateur, cookbook author, and television personality who has made and continues to make a huge impression on the culinary industry. 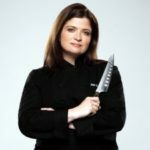 As a graduate of Florida State University, Chef Smith has worked at The Greenbrier and Walt Disney World for culinary internships. 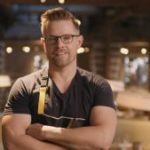 Today, Chef Smith owns and operates four distinguished restaurants: Table 52 in Chicago, Illinois, Art and Soul in Washington, DC, LIFE Kitchen in Palo Alto, California, and Southern Art and Bourbon Bar in Atlanta, Georgia. 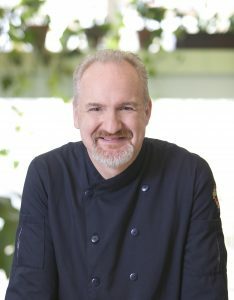 He is also author of four bestselling cookbooks including Back to the Family: Food Tastes Better Shared with the Ones You Love, Kitchen Life: Real Food for Real FamiliesEven Yours!, Art Smith’s Healthy Comfort: How America’s Favorite Celebrity Chef Got it Together, Lost Weight, and Reclaimed His Health! In 2002, Smith won a James Beard Award for his bestseller, Back to the Table: The Reunion of Food and Family. Art Smith’s list of diners is nothing short of impressive. He has cooked for President Barack Obama, the King of Sweden, and was a personal chef of Oprah Winfrey. 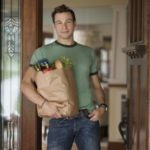 He has also appeared on Extreme Makeover: Home Edition, the Rachael Ray show, The Chew, Bravo’s cooking competition series, Top Chef, Food Network’s Iron Chef America, and even a cooking segment on Lady Gaga’s, ”A Very Gaga Thanksgiving”. At the age of fifty, Art Smith’s own diet began to get the best of him, as he was diagnosed with diabetes. He would go on to diet with his own cooking knowledge, and lost 100 pounds while running marathons to promote his own health. He has used healthy cooking to not only benefit himself, but children as well. He founded Common Threads, which has served more than 2,000 meals to under-privileged children and was awarded the James Beard Foundation award for Humanitarian of the Year in 2007.